"There's a phrase I've been hearing a lot recently around these parts - "Eu vou summer do mapa!" (“I’m disappearing from the map!”). Well, as far as Salvador's concerned, that's just what I did. I caught the first bus I could out of town to Vitoria, in the State of Espirito Santo, (400 miles to the South). Three years ago I was leaving Seville almost as quickly, in a taxi shared with two lovely Brazilians - Aline and Berto. We spent the night in Granada together, wandering into the Boogaloo Club, playing snooker, negotiating spontaneous mountain trips with slightly surprised and unassuming students. The next morning, Berto said, "One day, you'll come and stay at mine," and that's just what I've ended up doing. Berto works for SEBRAE (sebrae.com.br/) - a national governmental organisation that exists to support and encourage the growth of small businesses. Specialising in the area of tourism and culture, Berto worked with Aline Yasmin from Instituto Quorum (www.institutoquorum.org.br) to start up the Espirito Mundo project (www.espiritomundo.com) three years ago, which aims to strengthen relations between the cultural production of the state of Espirito Santo and their expressions in other cultures around the world. Today he's organising the office barbecue, which also seems quite stressful, so I left him to it. 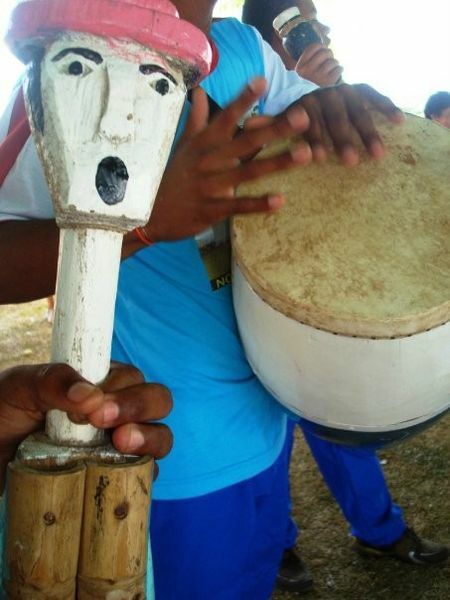 Instituto Quorum is a third sector, not-for-profit cultural production company that works to promote "musica capixaba" (music from Espirito Santo), as well as bringing music from all over the world to the state. "Here", smiles Aline, (who founded the Institute back in October 2005), ”We’re a family, we laugh and cry together, give each other lots of support, and create really beautiful projects." Right now, Aline, Samya and Zappie Pimental are in the final stages of organising Fenova (Festival Internacional de Musica de Nova Almeida) - a festival held in February each year. 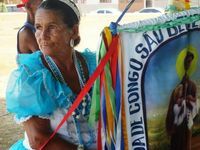 50,000 people come together for five days at Igreja dos Reis Magos in Serra, Nova Almeida, about 20 miles North of the state capital, Vitoria. The church stands on the site where evangelist missionary Brás Lourenço began preaching to the native Tupiniquin tribe back in 1557, in a palm leaf hut. 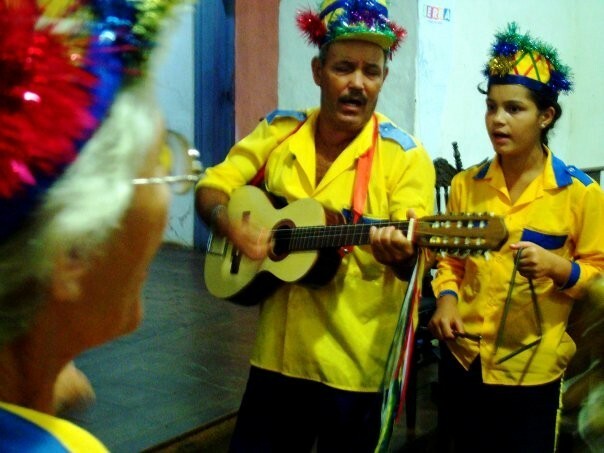 During the day, workshops on everything from baroque violin to Brazilian piano, trumpet and folklore within education are held in the church, along with orchestra rehearsals with children from local schools. 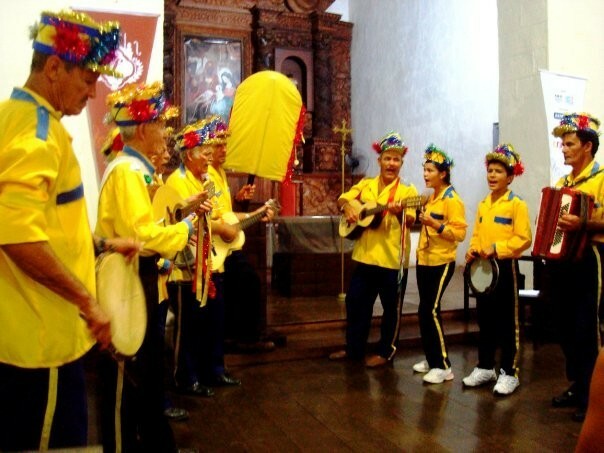 During the night, ‘musica erudita’ (erudite music, which I suppose equates to what we'd call 'high art'), popular and folkloric celebrations are performed on a series of stages in and around the church. On the closing night, the children's orchestra comes together to perform the piece they've spent five days learning together. 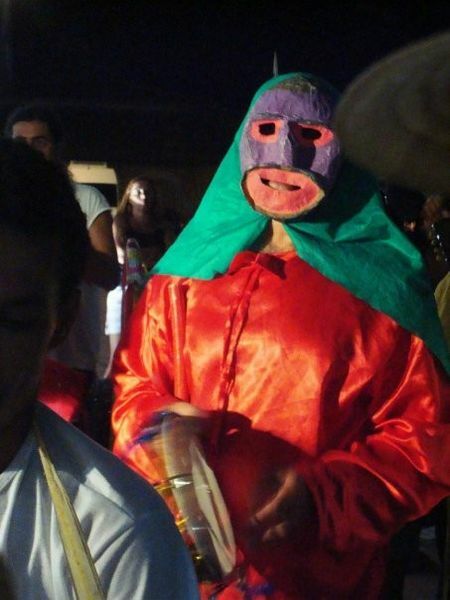 The lineup for February 2011 is yet to be confirmed, but the 2010 event featured the folkloric performances of 'Ticumbi' and 'Folia de Reis'. 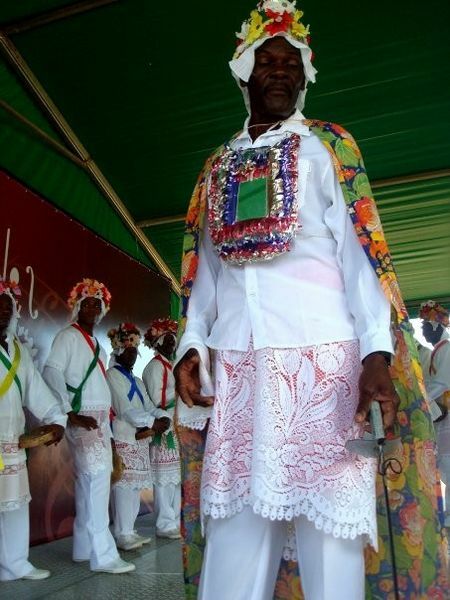 Otherwise known as Baile de Congo de São Benedito (St. Benedict's Congo Dance), Ticumbi is a traditional celebration that takes place each New Year in the town of Conceição da Barra, which is further North (near the border of the States of Espirito Santo and Bahia). 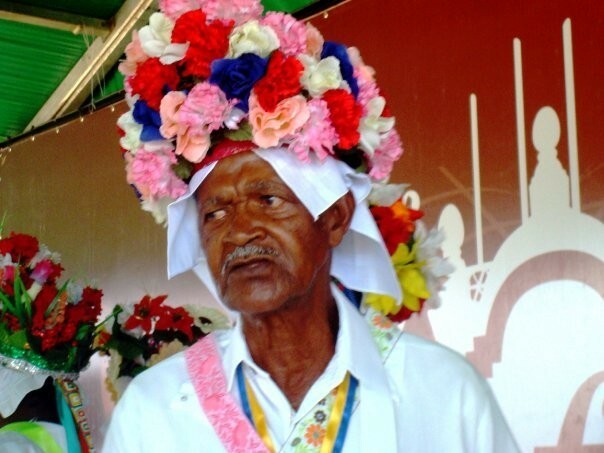 Afro Brazilian legend has it that o Rei de Bamba (King Bamba) asks o Rei de Congo (King Congo), for his daughter's hand in marriage. King Congo is not best pleased, and they have a big old battle. 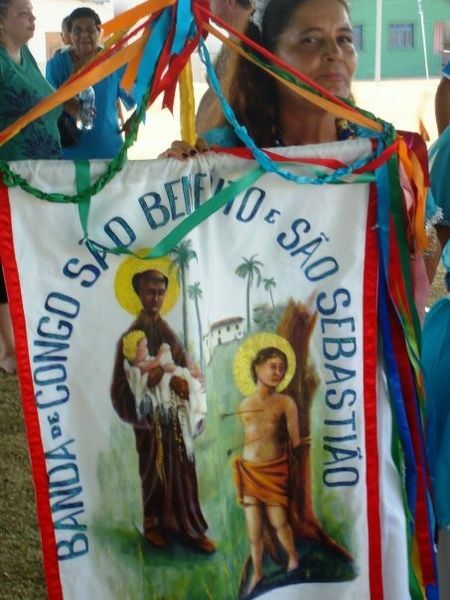 Somehow, this is all mixed up with a competition to see who is more devout to St. Sebastian - in the grand Brazilian tradition of plural religious symbolism, which has already fried my small brain. 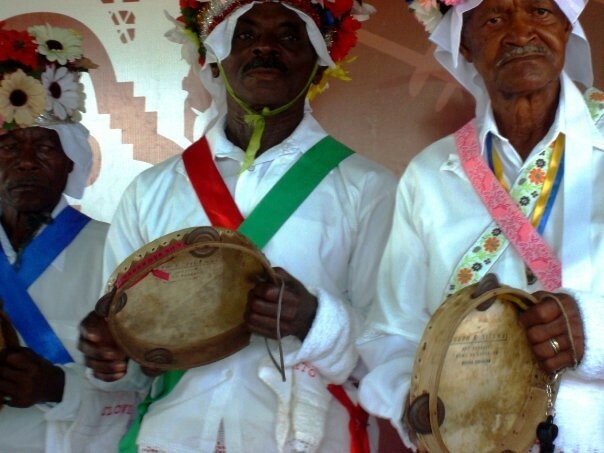 This is commemorated with a musical procession through Conceição da Barra. 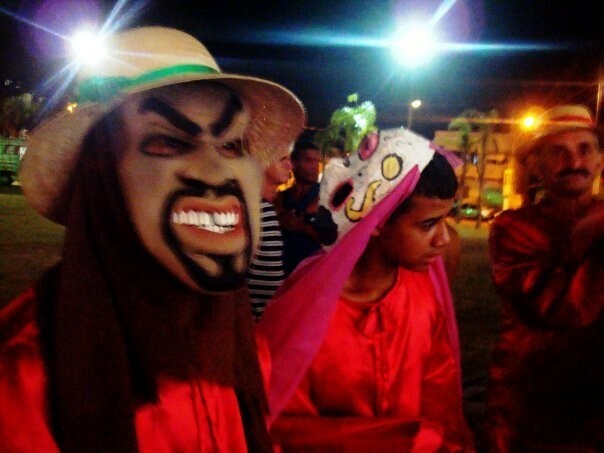 Folia de Reis is a traditional Catholic procession of the Three Wise Men brought to Brazil by the Portuguese, and still practiced widely in both countries. FENOVA is a massive event to organise, which is why Instituto Quorum (whose earnest tagline is 'Organising with Responsibility') is one of only three cultural institutes across Brazil chosen by the government as professional representatives to meet regularly in Brasilia at the Ministry of Culture. As well as being a great responsibility to act as an ethical voice for Brazilian culture, it is also recognition of the Institute's best practice. I know this may sound like the naive point of view of a foreigner who sees things from the outside through rose-tinted spectacles, but cultural production here in Brazil (and especially here at Institute Quorum) is of a very high calibre, and I think the UK has a great deal to learn from it. Attitudes are much more proactive, there's more of a 'can do' culture. I asked Aline about this yesterday, explaining how things work in the UK, and the recent changes in the Arts Council. She was pretty forthright in her response: "Brazil has always been in crisis, so we just get on with it. There's always a way, it's always a battle, but you just have to believe in what you do, and things turn out well." Instituto Quorum plan to open an internship next year for a student from the UK, to work within their organisation. If I were back at uni now, I'd jump at the chance."